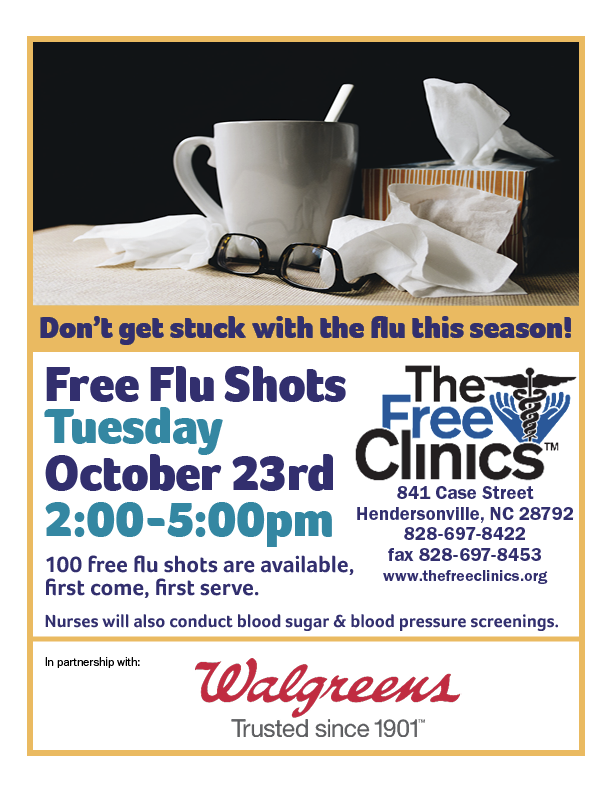 Walgreens and TFC are partnering to offer free flu shot clinics on at TFC. Walgreens pharmacists will provide free flu shots. TFC staff will offer health screenings including blood pressure checks and blood sugar levels. 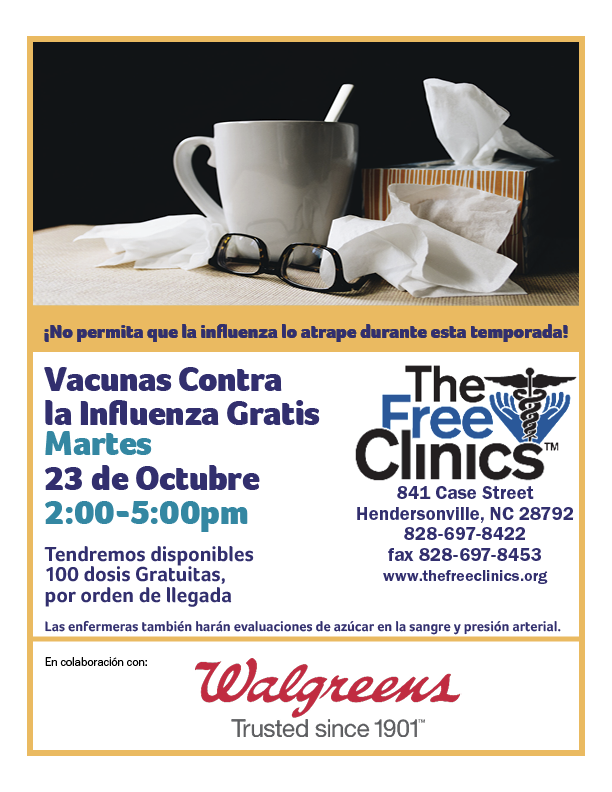 Our next Flu Shot clinic is Tuesday, October 23, 2018 from 2pm-5pm. Shots are limited and available on a first come, first serve basis.